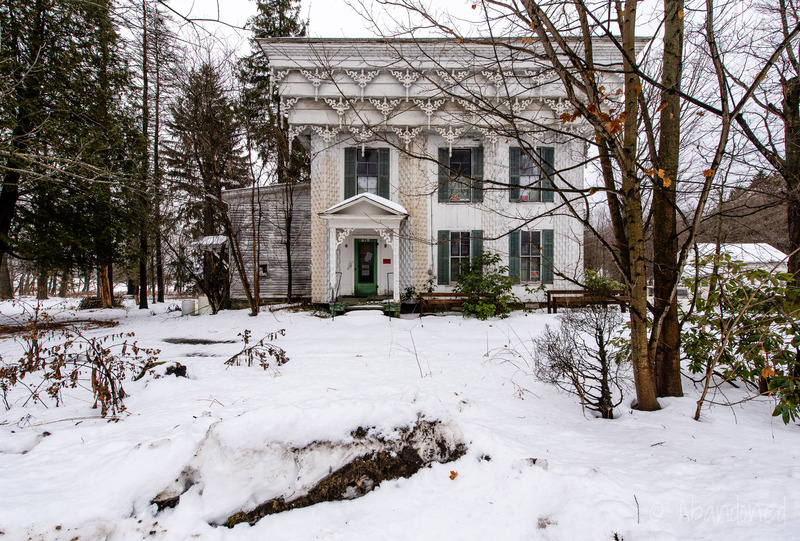 The Spirit House is a historic circa 1865 residence and meeting hall in New York. 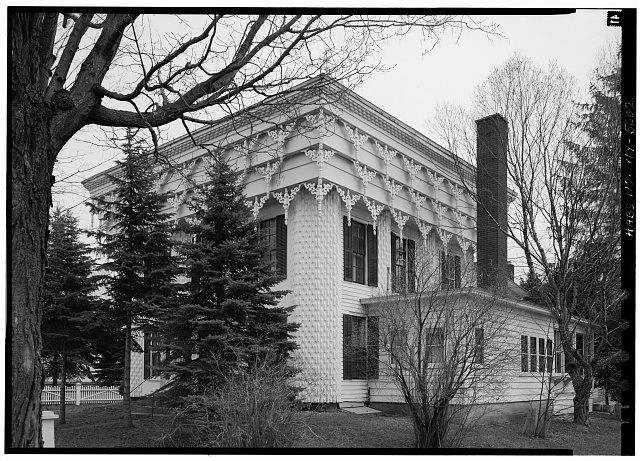 The uniquely designed building was used by those involved in the Spiritualist Movement. Timothy Brown was born in the town of Newburn, Vermont in 1815 and to Georgetown in 1847 with his wife, Sarah, and their children. 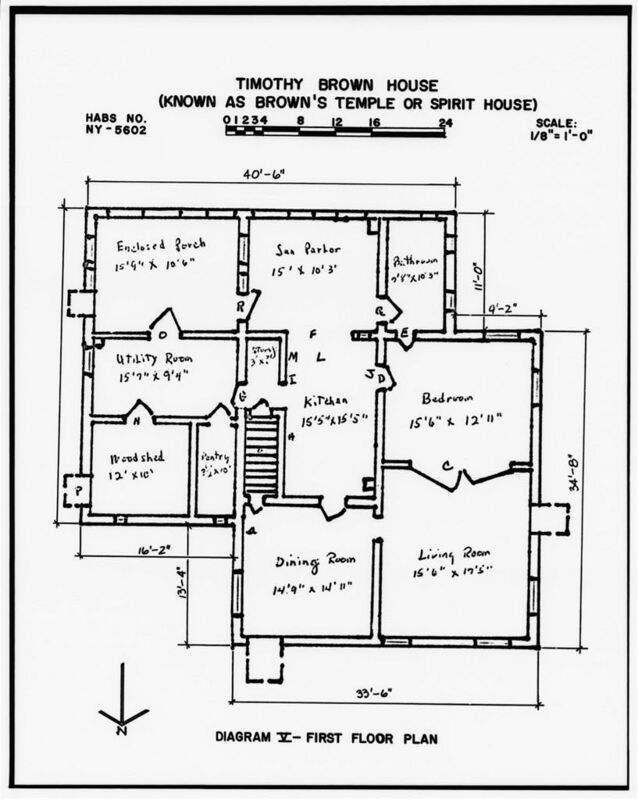 1 He was loosely trained as a carpenter and deeply devout to the Spiritualist Movement, and upon arrival to the town, Brown, assisted by “spirits,” constructed a residence. 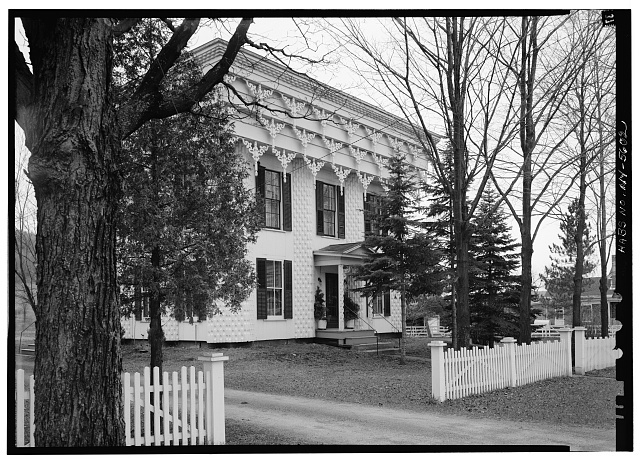 Brown died in 1885, and the property was transferred to his wife, Sarah, on May 5. 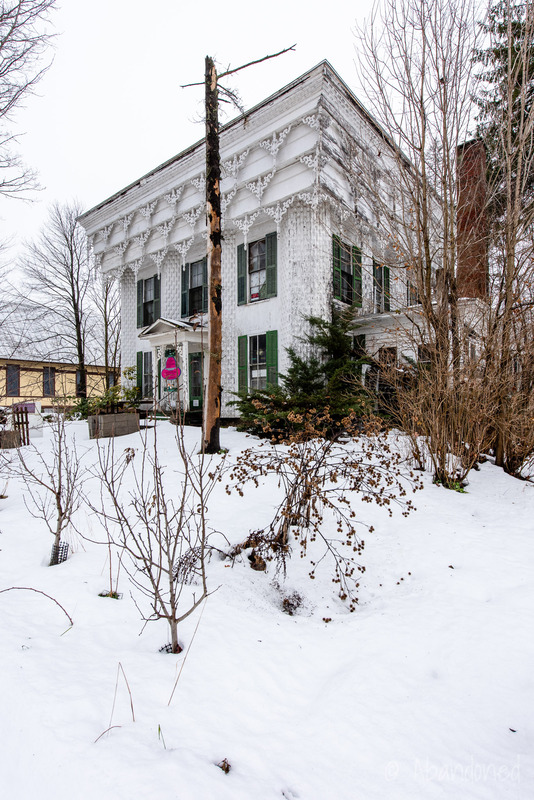 1 In ill health, Sarah transferred the property to her great-nephew, Floyd Currier and his wife in 1898, which was then sold to Chauncey Stevens. 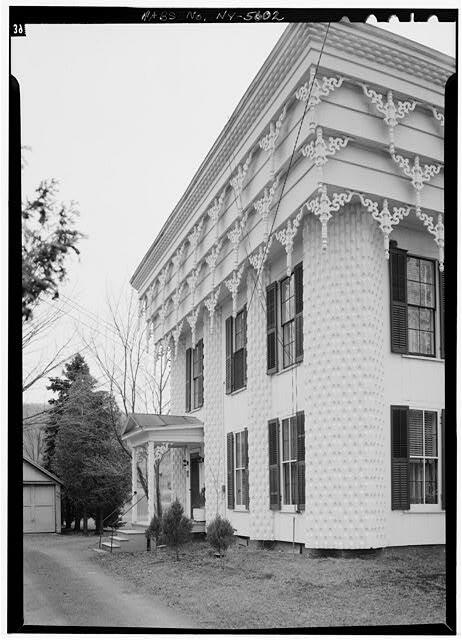 Chauncey died in 1902 and the house was placed under the care of his wife, Alice. 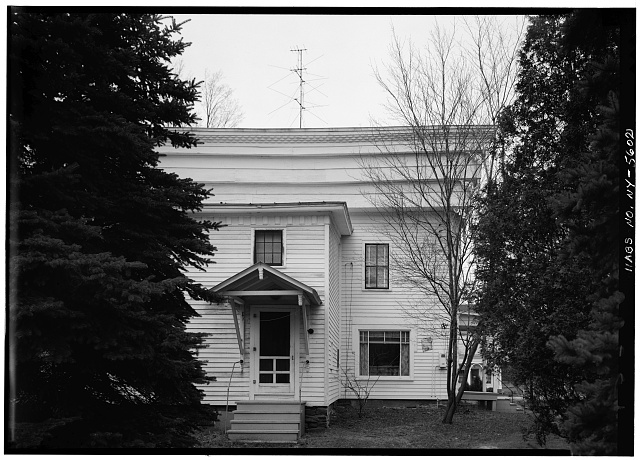 The church addition was torn down in 1906 and the residence was extended in the rear. 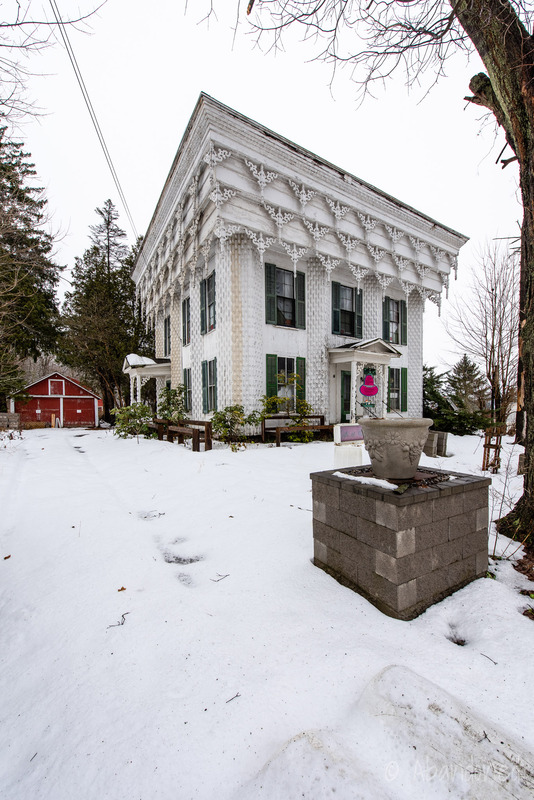 1 The second floor, no longer being used for meetings by the Spiritualists, was divided into bedrooms. 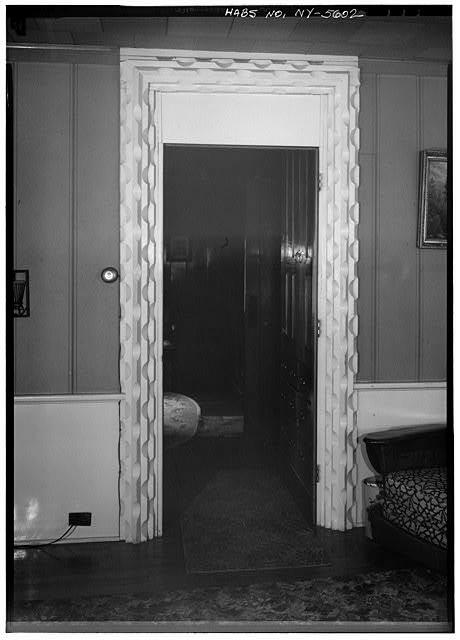 In 1908, a stairway was built along the interior east wall in the space of a former spirit darkroom. Between 1938 and 1940, the second-floor ceilings were lowered, a new asphalt roof was installed over the original metal roof, and the first-floor was reinforced with steel beams. 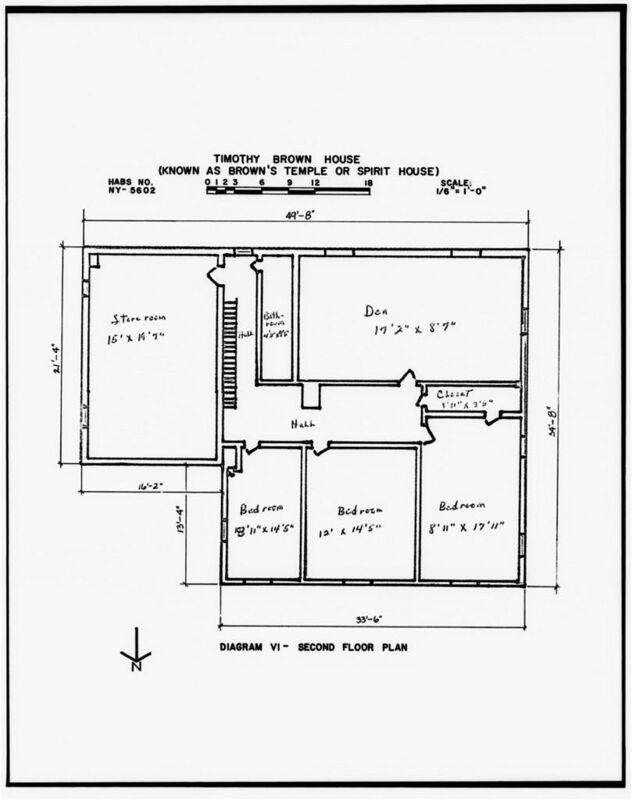 In 1946, a bathroom, sun parlor, and sun porch were added on the south side of the house, and the second-floor den was enlarged. 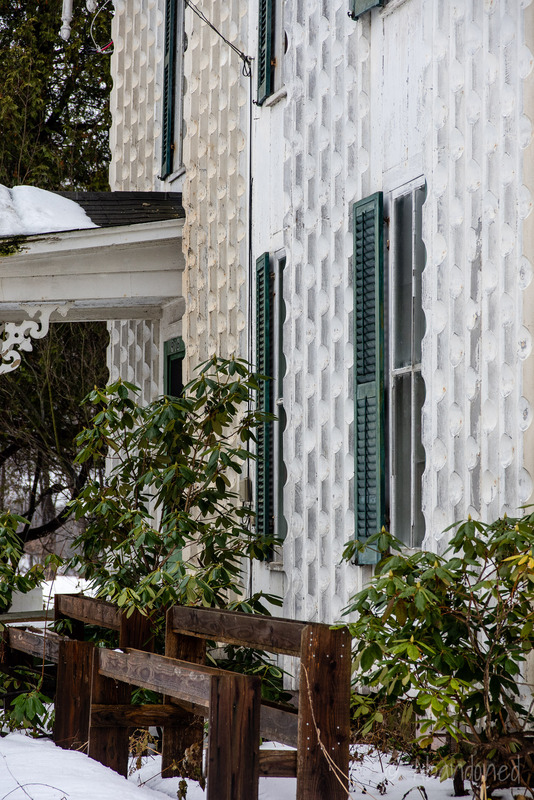 The descendants of Alice Chauncey (later Alice Cossitt) lived in the Spirit House until 1989. 4 The next owner refused to live or sell the house, fearing that it would bring about her death. 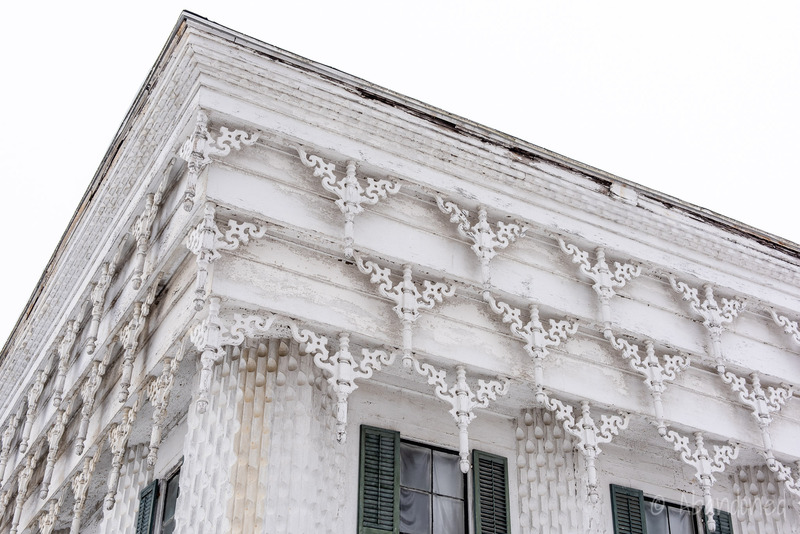 It was later purchased by Valerie Wilson who attempted to restore the historic building. 3 In the process, the roof began leaking water into the interior. It had been originally engineered to collect water into a center pipe that flowed to the basement. Owing to extensive water damage from the roof, the interior was gutted down to the studs. 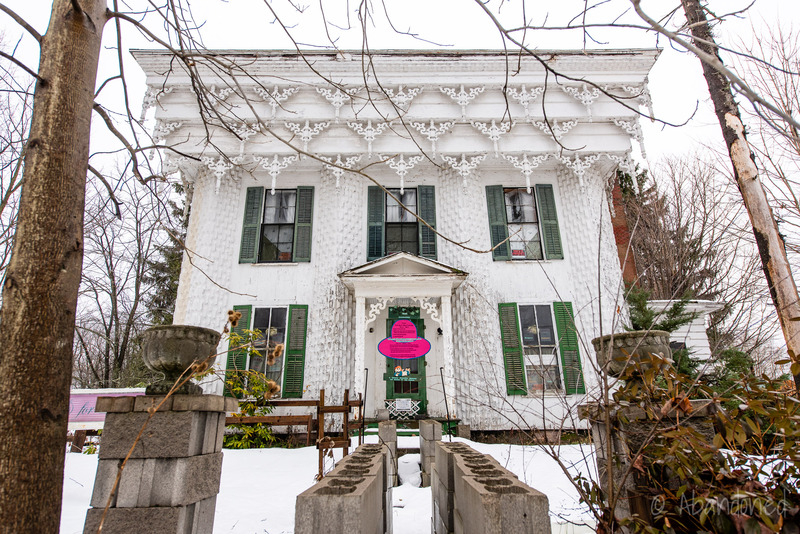 In September, Senner approached the seller to obtain a letter of intent to sell the house, as it Senner was going to file for a grant from the state Office of Parks, Recreation and Historic Preservation for the acquisition of the property and exterior restoration of the Spirit House. 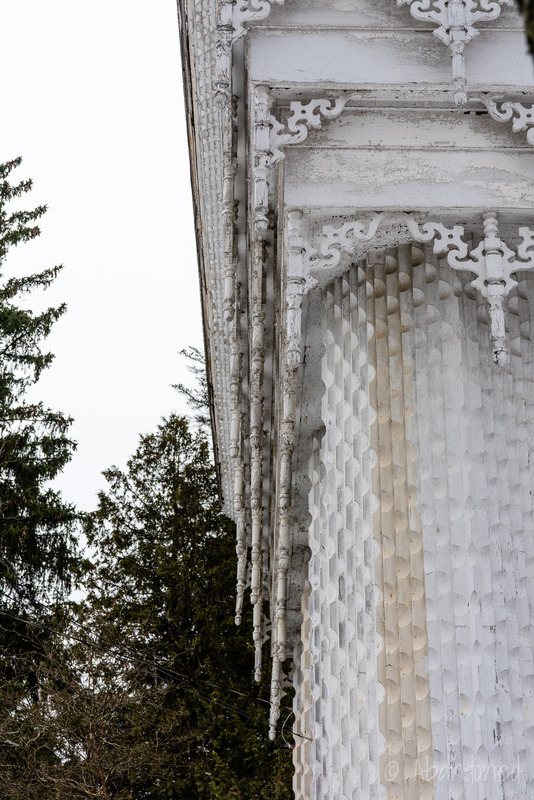 2 It was estimated that the repairs required for the house topped $200,000, with at least $78,000 needed just to clean and paint the exterior. Dimaculangan applied for local tax exemption on improvements to the Spirit House, which was granted in May 2012. 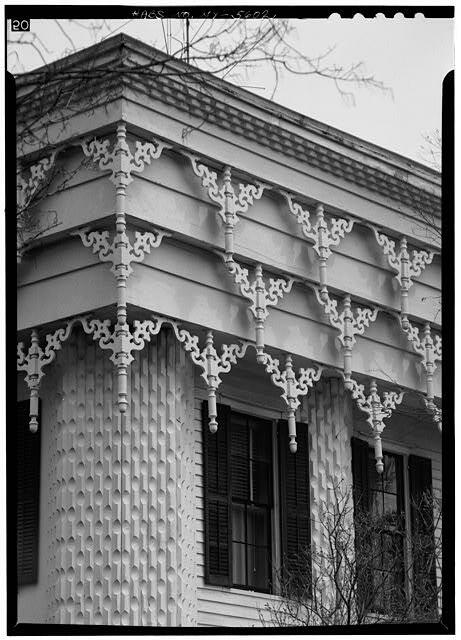 7 The exemption was designed to provide exemptions on improvements to historic properties to be used as an incentive for property owners to restore and maintain their structures. But Dimaculangan protested and believed that the exemption should be for the entire assessed value of the property, although that would violate state law. Throughout the time, Dimaculangan lived in the rear of the otherwise unmaintained building, using a space heater and fireplace to keep warm. 8 As of 2018, the entire residence was vacant, with the property lined with empty plastic barrels. Dimaculangan has claimed that it is illegal and immoral to photograph the property, even from outside of her property boundaries. The photographs below have been taken from the neighboring property and the state right-of-way, completelyly ignoring those baseless statements. 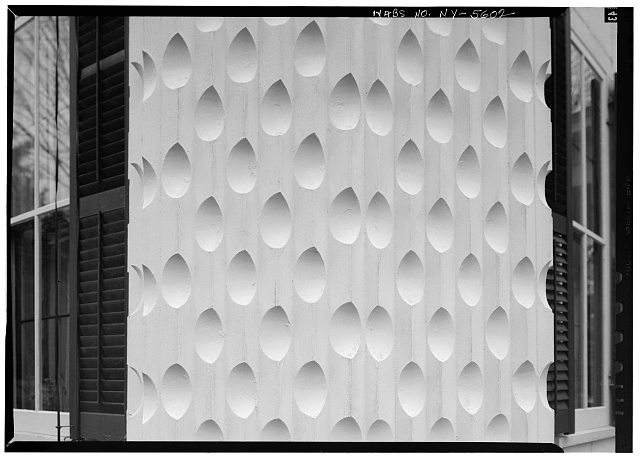 Credit: Jack E. Boucher, April 1966, for the Library of Congress. 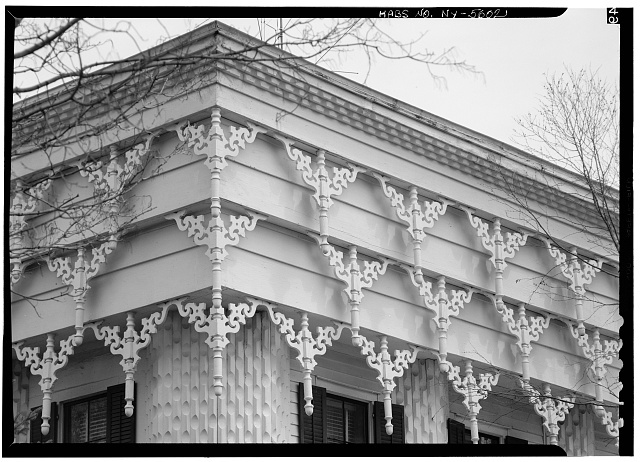 “Timothy Brown House.” Historic American Buildings Survey, Library of Congress, 1966, article. Potrikus, Alaina. 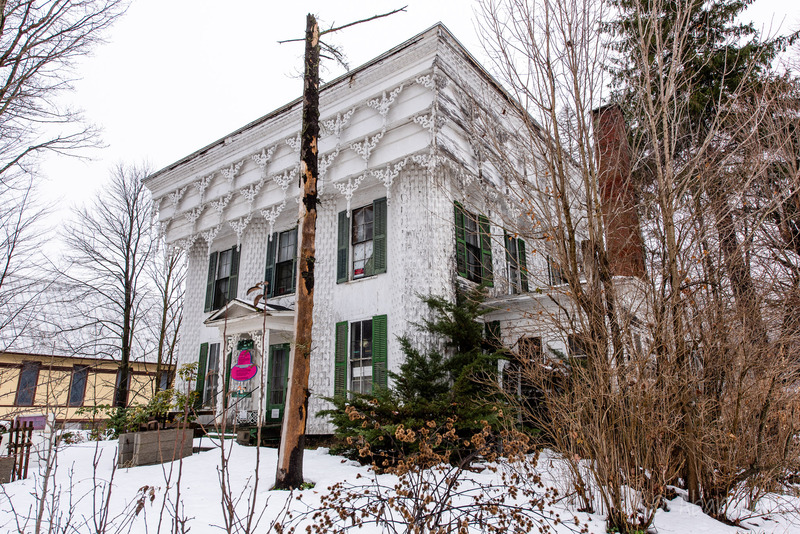 “Sudden cash offer ends group’s plans to buy Georgetown’s historic Spirit House.” Post-Standard [Syracuse], 6 Nov. 2011. Lundborg, Pam. 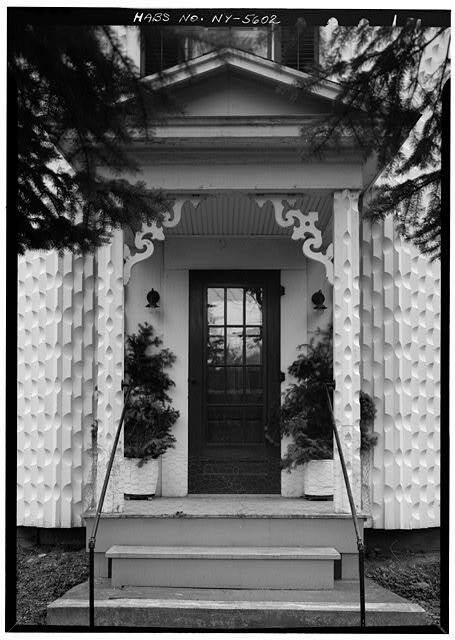 “House of the Week: Georgetown’s Spirit House.” Post-Standard [Syracuse], 14 Aug. 2009. Potrikus, Alaina. 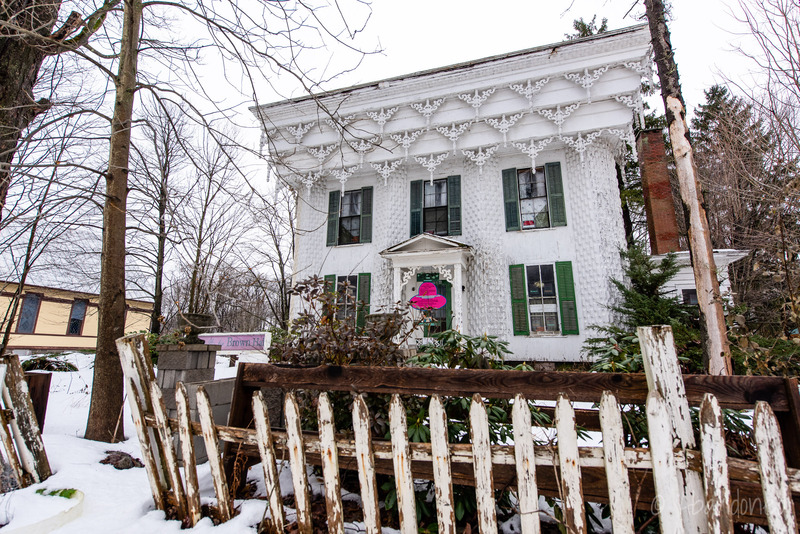 “Group hopes to restore Spirit House in Georgetown as spiritual healing and retreat center.” Post-Standard [Syracuse], 20 Feb. 2011. Kampe, Jason. “Spirit House.” Otselic Valley Central School District, n.d., article. Senner, Madis. 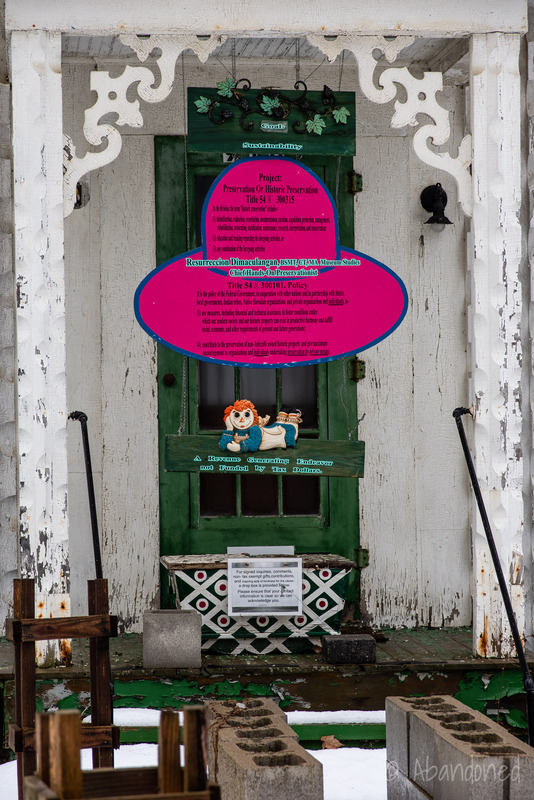 “Email sent to Spirit House Society Members on June 21, 2015.” Spirit House Society, 21 Jun. 2015, article. Conway, Martha E. “Spirit House Gets Exemption on Improvements.” Madison County Courier, 30 May 2012. Senner, Madis. “Member Update.” Spirit House Society, 21 May 2012, article.